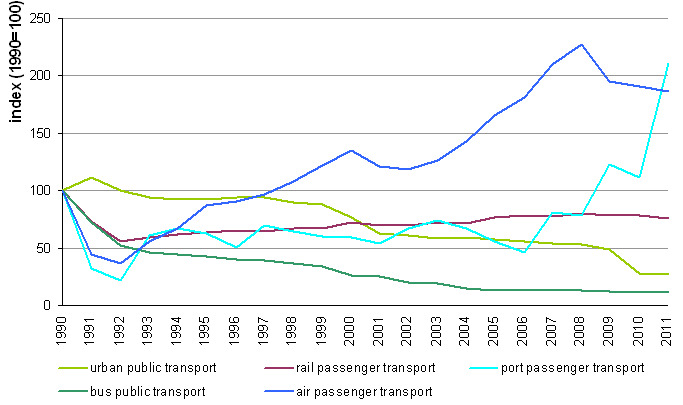 In Slovenia the volume of passenger transport and transport in generally has been increasing for several decades, primarily due to the most unsustainable modes- automobile and air transport after 2002. The growth stopped since the economic recession in 2008. 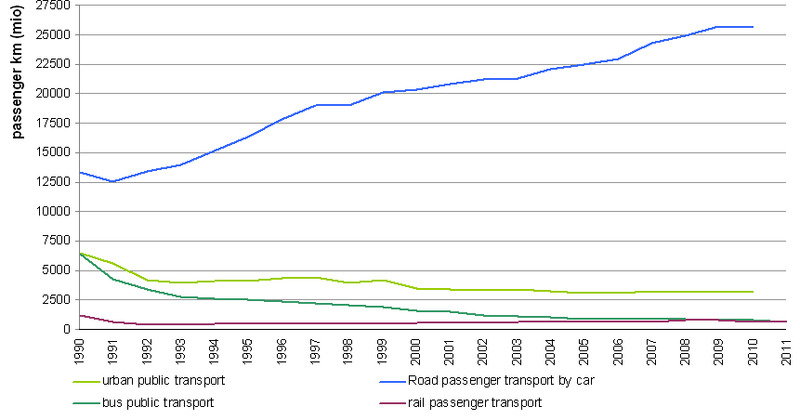 In opposite the scope of sustainable modes of transport is being in decline - in the last decade has dramatically decreased the proportion of bus services, after a prolonged period of slow growth of the inland rail passenger transport decreased again. Statistical Office of the Republic of Slovenia: Statistical Yearbook of the Republic of Slovenia 1996-2012 and SI-STAT Data portal, 2013. TERM 2010 – Passenger transport modal split. 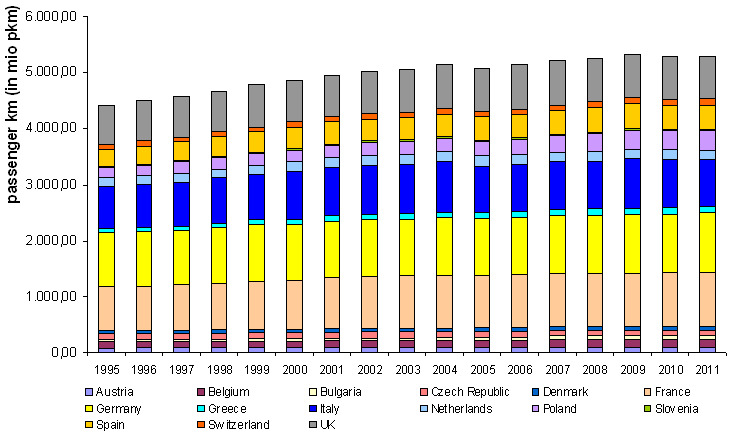 European Environmental Agency, 2013.